Just a few months after Egyptian singer Sherine Abdel Wahab was sentenced to six months imprisonment and fined for 'insulting Egypt. 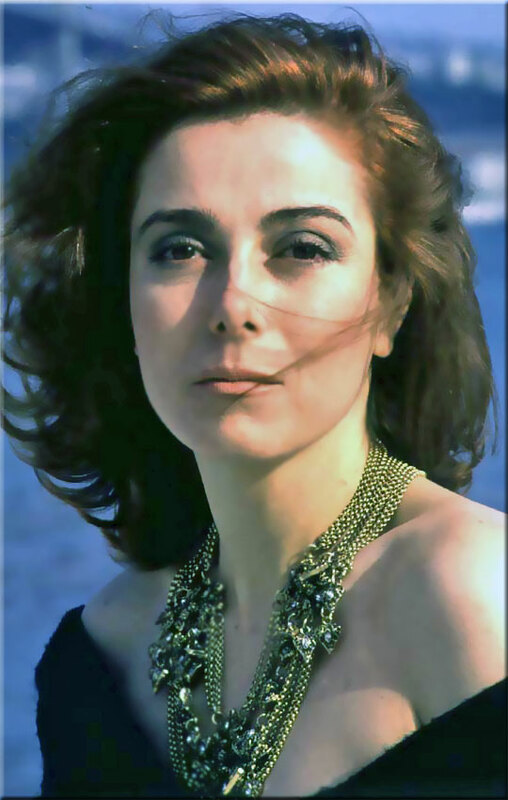 ', because she advised people not to drink from the river Nile, Turkish singer and actress Zuhal Olcay (1957) has been sentenced to ten months in prison for insulting Turkish President Tayyip Erdogan during a performance in 2016. Olcay was accused of changing the lyrics of one of her songs by adding an extra line that was deemed insulting to Erdogan and making an insulting hand gesture while singing. A video from the performance showed Olcay changing her song’s lyrics to read “Recep Tayyip Erdogan, it’s all empty, it’s all a lie, life will end one day and you’ll say ‘I had a dream’,” Turkish newspaper Hurriyet said. Just yesterday it was revealed that the newsaper will be bought taken over by a pro-Erdogan group. In her testimony, Olcay rejected the accusations, saying she had used Erdogan’s name because it simply fitted the rhyme scheme and had no 'ulterior or insulting motive'. She said the hand gesture was aimed at an audience member in the front row because they had made a negative comment about her. Olcay was previously fined 10,620 lira (€2,100) for 'insulting a public servant' in 2010, according to the state-run Anadolu agency. Insulting the president is a crime punishable by up to four years in prison in Turkey. Lawyers for Erdogan, who has dominated Turkish politics for more than a decade, have filed more than 1,800 cases against people on accusations of insulting him. Erdogan, a bully, is known for his long toes and short fuse. 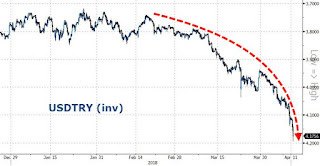 Most European governments have voiced concern that Turkey is sliding toward authoritarianism, criticizing the crackdown which saw some 150,000 people sacked or suspended from their jobs and more than 50,000 jailed pending trial on suspicion of links to the failed coup. The government says such measures are necessary to ensure stability and defend Turkey from multiple security threats. Yeah right. 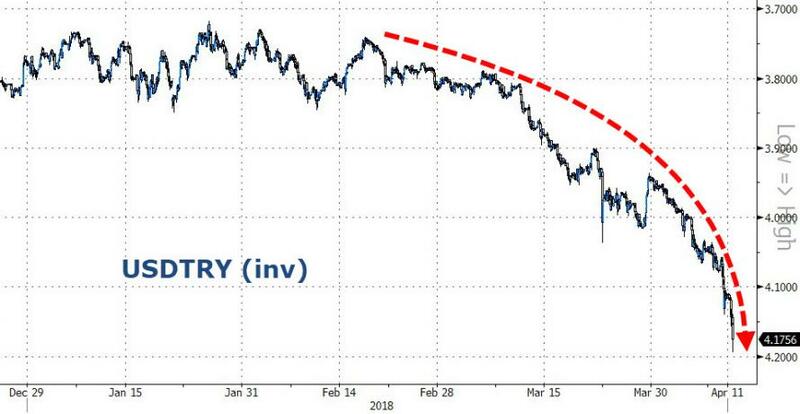 Maybe Erdogan should pay more attention to the economy: The Turkish lira is quickly losing ground, down over 11% in 2017, 42% in 2 years, 127% in 5 years.